Our location at 20 Commerce St., is open 6:30 AM to 2:00 PM everyday except Sunday which is 6:30 AM to 1:30 PM. Our other location at 2100 Westcott Dr., at Hunterdon Medical Center is open every day 6:30 AM to 8:00 PM at night 7 days a week. We are only closed for Thanksgiving, Christmas and New Year's Day. 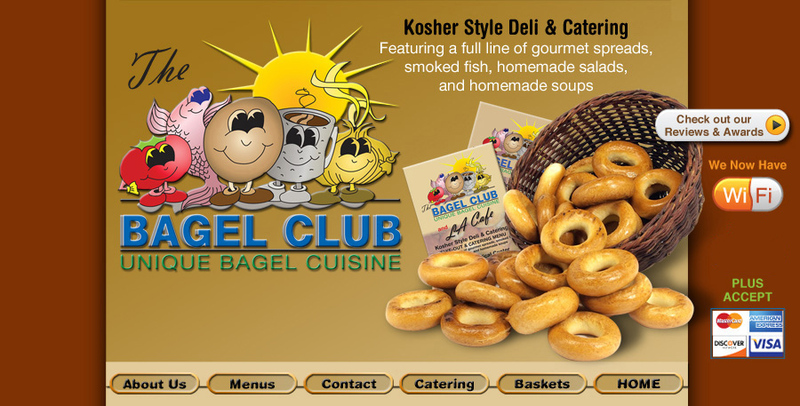 The Bagel Club story begins almost 20 years ago when Jeff Stern started the bakery/café with the intent to provide the highest quality, kosher style bagels and deli service in the area. The store was featured in magazines and newspapers and received rave reiews. Fast forward 15 years and the Certo family acquired the business, adding more services, catering and enhancing the service and equipment. 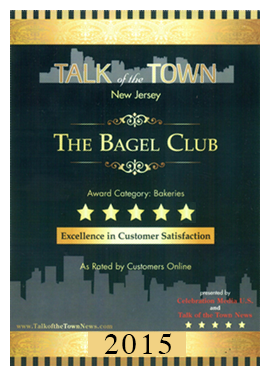 The Bagel Club was featured in more magazines and newspapers and acclaimed as one of the best bagel-café restaurants i n the northeast. 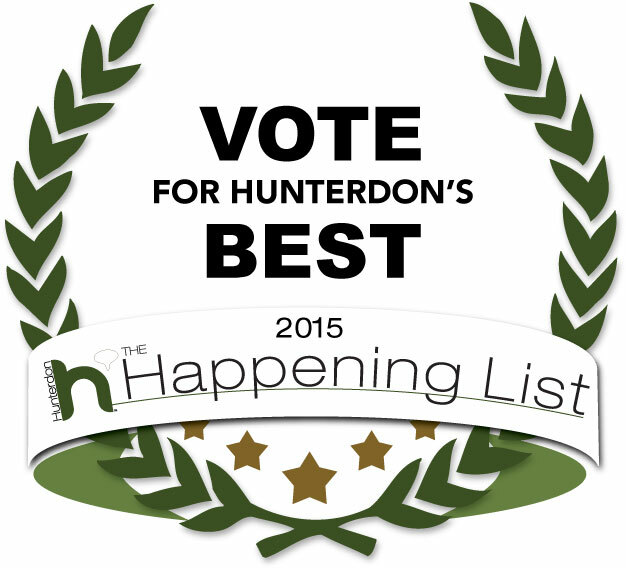 Winner 2015 Hunterdon County Happening List--second consecutive year winner.
. The Courier News and Newark Star Ledger said “….They’re the real deal in Flemington” in their Christmas week edition and highlighted their incredible menu and over all service. Customers came from several states and other countries and loaded up on their baked products and patronized café service and asked to have the products packaged to bring home. Martha Certo, a culinary corporate chef managed the store and brought about improvements that made the service the best in the area. The Bagel Club offers over two dozen varieties of fresh baked bagels and uses the finest flours and natural ingredients for their menu. No mixes or chemicals for their fruit and nut bagels, only the real thing. Their deli products are THUMANS and other quality meats and cheeses. All beverages are national brands and popular health drinks. Their bakers start every morning at 1:00AM and turn out fine products till closing. Their chefs and cooks prepare a long list of quality menu items for lunch or catering services to customers. The store delivers for breakfast, lunch, catering and wholesale, and is open seven days a week for breakfast and lunch.